92% cotton, 8% spandex teal knit long sleeve dress with leggings by Isobelle & Chloe. The lining and tuille two tone ruffles are 100% polyester. 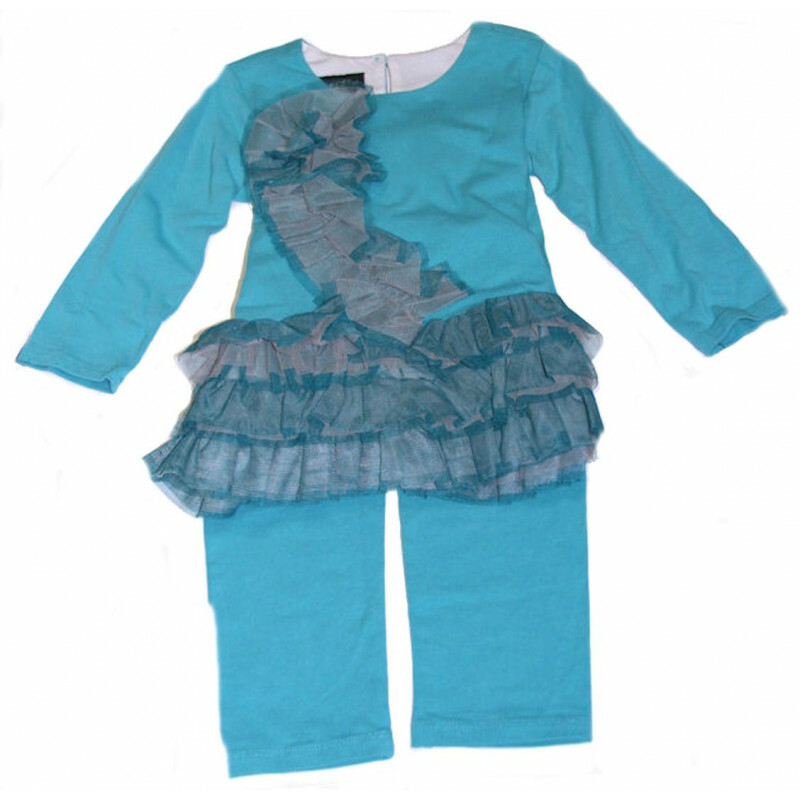 This pretty teal set is ready to go anyplace for a picture perfect day. A button at the back neck. The knit leggings are a pull-on style. 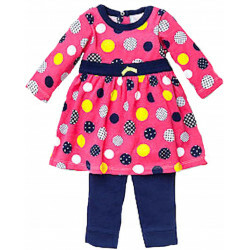 Sizes: 12, 18, 24 months.